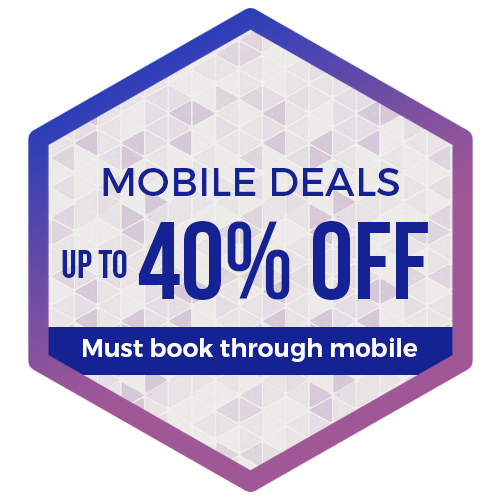 Royale Chulan Penang promises its customers that by booking directly, you are getting the best deal online. If you have a confirmed direct online booking with The Royale Bintang Penang and find a cheaper price for the same offer within 24 hours on another website, we will match that price. Royale Chulan Penang will make available the best guest room price for the hotel (the "Best Price Guarantee"). "Royale Chulan Penang Website" is the website owned or operated by or on behalf of Royale Chulan Penang bearing the logo and branding of Royale Chulan Penang. In the unlikely event that a lower price is made available on a non- ​Royale Chulan Penang website (the "Competing Price"), upon its receipt of a claim that satisfies these Best Price Guarantee terms and conditions (the "BPG Terms"), Royale Chulan Penang will honor that Competing Price and provide a matching price to the individual who submitted the valid claim. The claim must be submitted prior to, or within 24 hours after, making a reservation through a Royale Chulan Penang Website, and at least 24 hours before the standard check-in time at Royale Chulan Penang. A claim may be rejected by Royale Chulan Penang if it is incomplete or concerns a non-Royale Chulan Penang website. For the Competing Price to be valid, it must be a currently available lower published online room price for Royale Chulan Penang, the same stay dates, the same number of guests, the same room type, with a similar view and room size, and include similar or additional value-added amenities (e.g., free breakfast). Royale Chulan Penang will compare the total room cost of a stay, and multiple claims for a stay consisting of two or more nights in the same week at the same Royale Chulan Penang. Royale Chulan Penang will convert any Competing Price offered in a different currency than the price made available through the Royale Chulan Penang Website, and may deny claims where it determines that the difference between the price is due to exchange rate fluctuations. The estimated value of value-added amenities (e.g.,free breakfast, use of Wifi, vouchers) offered as part of a Competing Price will be excluded from the price comparison, and will not be provided by Royale Chulan Penang when honoring a lower price. Royale Chulan Penang may deny claims where the difference between the Competing Price and the price on the Royale Chulan Penang Website is less than one percent. The Best Price Guarantee does not apply to existing reservations that are not booked through a Royale Chulan Penang Website, and Royale Chulan Penang is not responsible for any fees associated with cancelling a reservation made through a different channel (e.g., a call center, a non-Royale Chulan Penang website). If a valid Best Price Guarantee claim is submitted without an existing reservation, the individual making the valid claim will be contacted by Royale Chulan Penang and must make a reservation in the manner communicated by Royale Chulan Penang within 24 hours from receipt of the communication or local check-in time at Royale Chulan Penang. Failure to make a reservation in the required time period will invalidate the claim. The Best Price Guarantee will be suspended during times where the Royale Chulan Penang Websites or certain prices are not available due to an outage, a technical issue or a circumstance beyond Royale Chulan Penang's reasonable control. Royale Chulan Penang has the sole right and discretion to determine the validity of any claim and will not review documentation provided by the individual submitting a claim as part of its validation process. Royale Chulan Penang reserves the right to deny a claim, if it cannot independently verify the availability of a Competing Price at the time it processes the claim. Royale Chulan Penang may at any time and without notice terminate or restrict a person's ability to submit a claim under or otherwise benefit from the Best Price Guarantee, if in its sole discretion Royale Chulan Penang determines that such person has: (1) acted in a manner inconsistent with applicable laws or ordinances; (2) acted in a fraudulent or abusive manner, (3) submitted multiple invalid Best Price Guarantee claims; (4) failed to stay at Royale Chulan Penang after receiving approved Best Price Guarantee Claims; or (5) breached any of these BPG Terms. Void where prohibited by law. Royale Chulan Penang reserves the right to amend, revise, supplement, suspend or discontinue the Best Price Guarantee or these BPG Terms at anytime in its sole discretion and without prior notice. Royale Chulan Penang hotel is at the heart of UNESCO Heritage Site in George Town, Penang, Malaysia. This 4-star heritage property offers a charming fusion of history through its colonial architecture and style, and modern luxuries through unique accommodations and gourmet dining options. 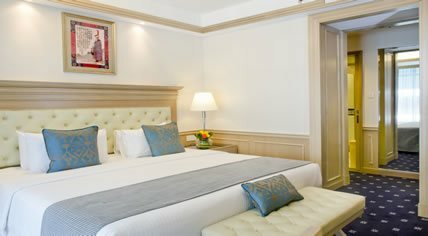 Part of this hotel in Penang is a beautifully restored heritage building built in 1892 which provides a charming old-world sophistication unique to Royale Chulan Penang. Location and AccessabilityRoyale Chulan Penang hotel is conveniently located at Weld Quay where the Heritage trail in Penang is located. It is also 30 minutes away from the Penang International airport, and 5 minutes away from the Penang Port and Ferry Terminal. RelaxationAn indulgent stay in rooms and suites of Royale Chulan Penang coupled with superb accommodations is all you will need for a relaxing stay. 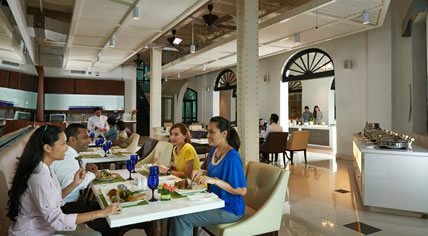 Spoil Your Taste Buds Enjoy leisurely meals in a relaxed ambiance at our Sri Tanjung Cafe. You can also spend a lovely afternoon sipping exclusively brewed tea blends at our Tea Room. Each room at Royale Chulan Penang provides you with highly quality room amenities to ensure that your vacation is serene and relaxing. All guestrooms feature wireless Internet connection, IDD telephone, mini bar, coffee and tea making facilities, rainforest shower, and bathroom toiletries. More than just outstanding room accommodations, we provide top-class facilities and services to make your stay with us extra special. We have a swimming pool, tea room, cafe, spa, banquet halls and conference rooms to satisfy business and leisure needs. Have a unique gourmet experience with us. 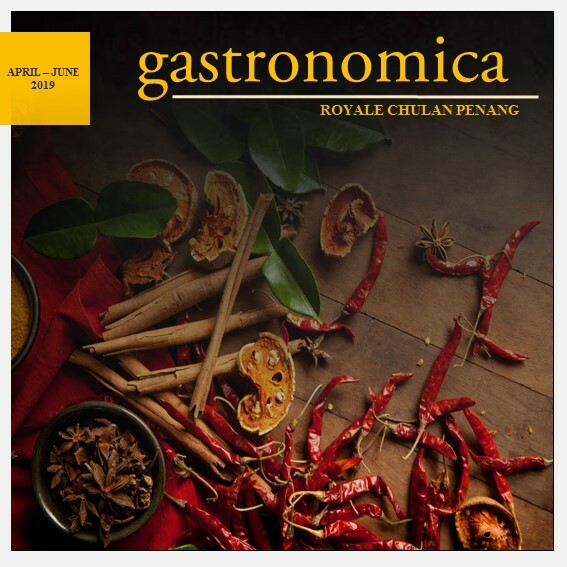 Check out our F&B promotions and take a culinary journey at Royale Chulan Penang. Effective 1 September 2017, the Malaysia Government will implement Tourism Tax which will be levied for all non-Malaysian passport/ID holders and non-Malaysian PR card holders at RM10nett per room night. This tax is not included in our Room Rate and it is payable by guest through the hotel upon check-in or prior to check-out. The hotel will also need to take a photocopy of the guest’s passport/ID to be submitted to the authority.